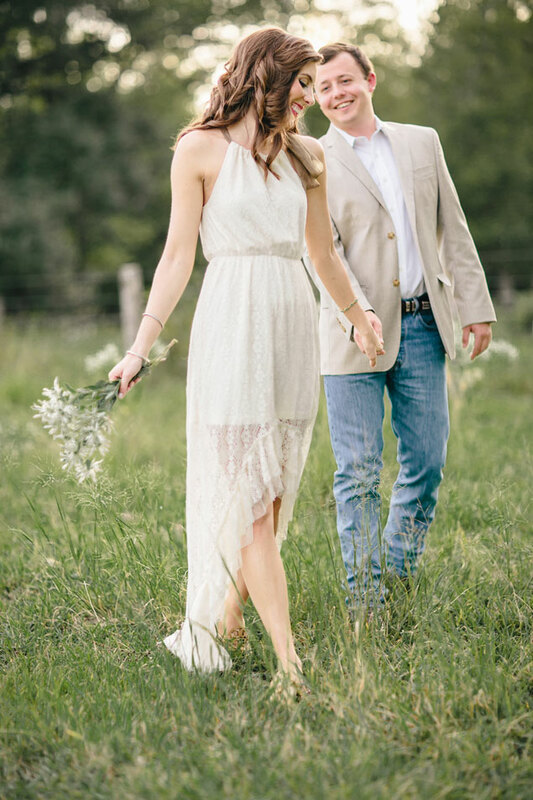 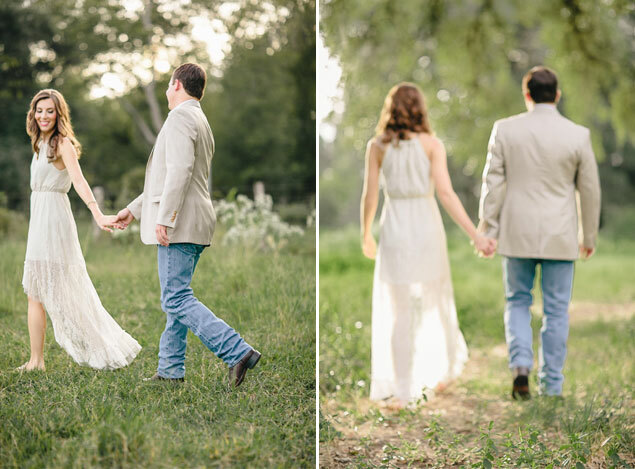 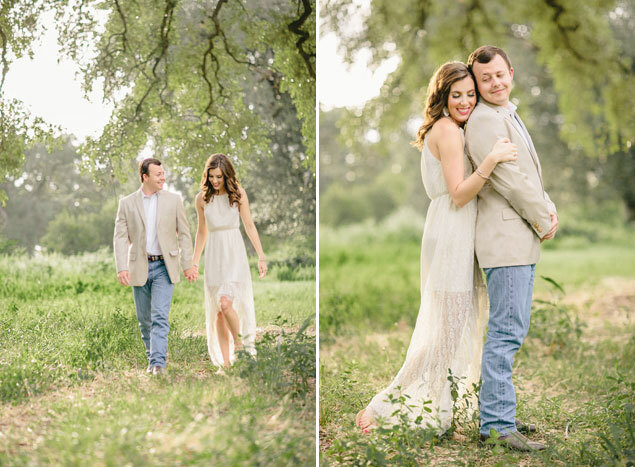 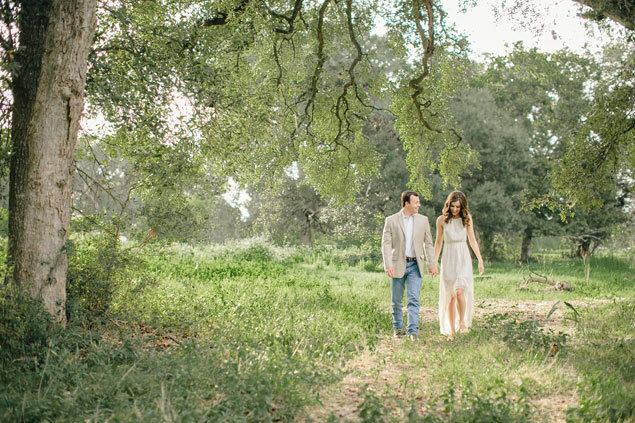 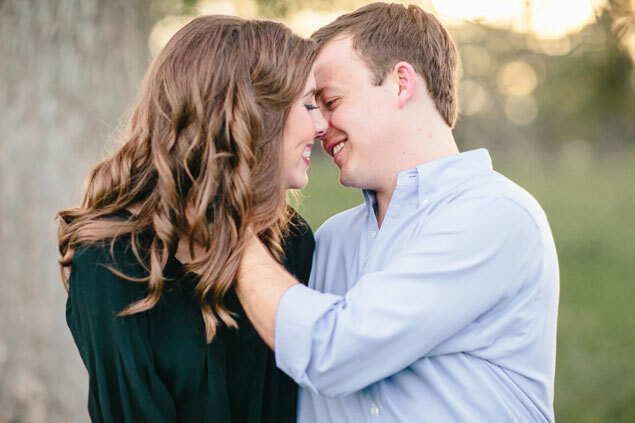 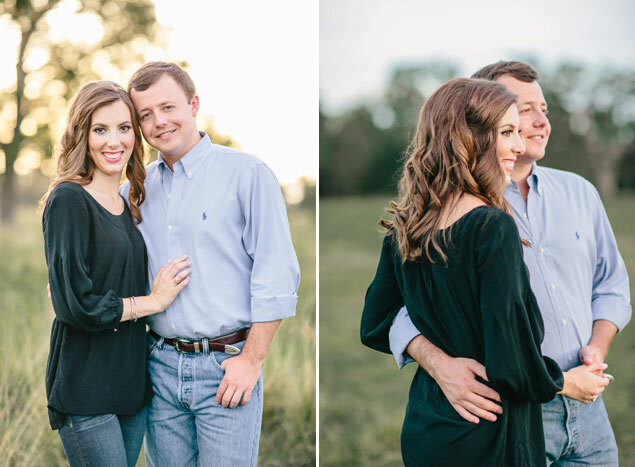 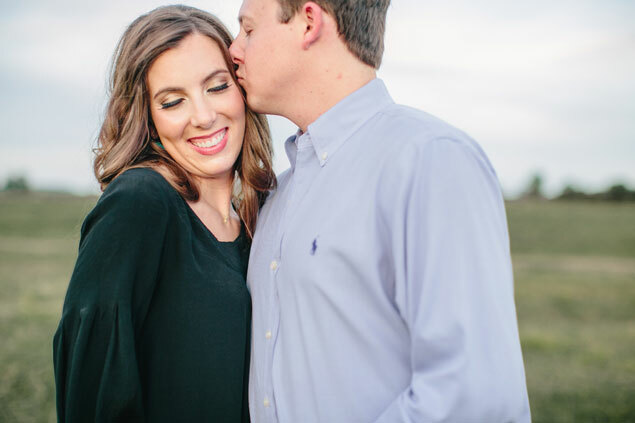 Sarah and Zach chose to have their Texas engagement shoot done by� Luke and Cat Photography on a private estate surrounded by beautiful greenery and wildflowers. 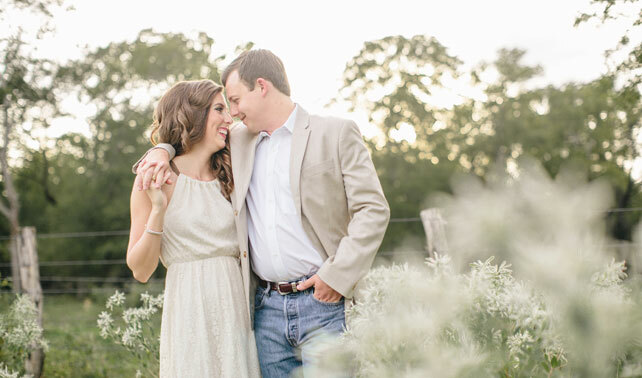 Cat: Sarah and Zach describe their personal style as southern and traditional. 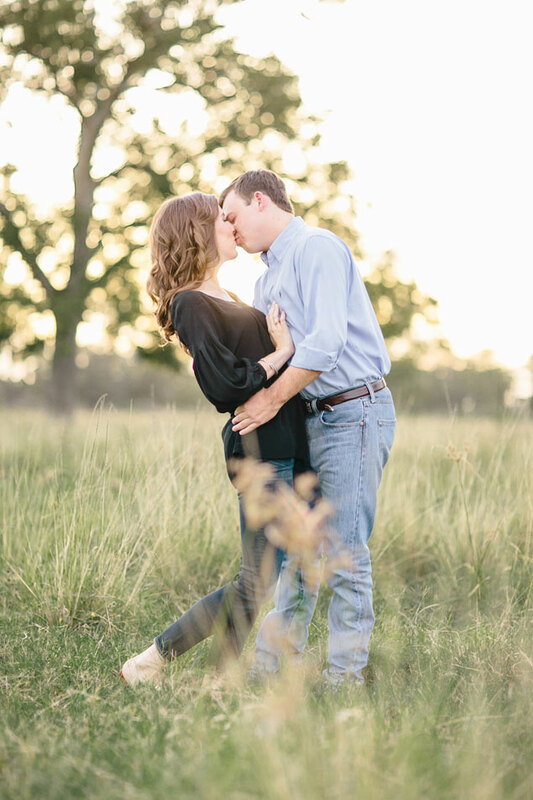 When we were planning their engagement session, we chose to do the photos in the golden evening light on a private ranch. 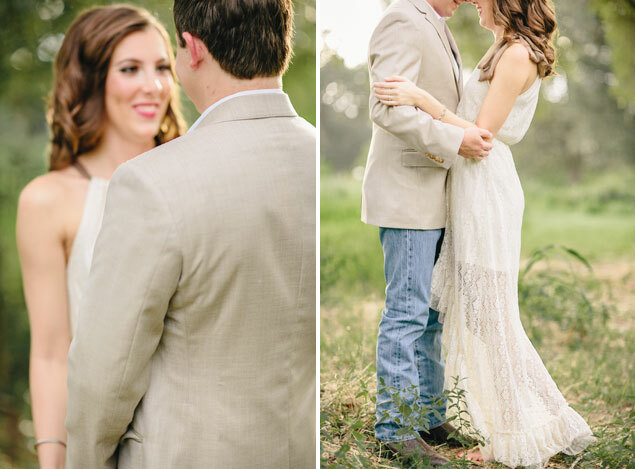 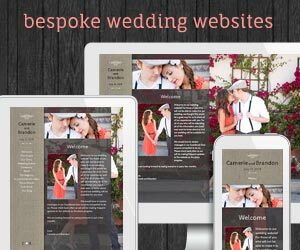 When they arrived and we saw their fantastic southern-chic attire, we knew we were in for something special.By keeping the setting simple, the main thing that is showcased is their love for one another. 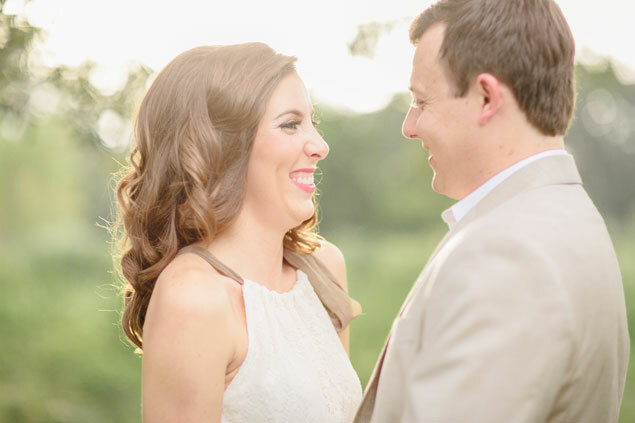 They each said that one of their favorite things about the other is how they make each other laugh – their happiness is refreshing! 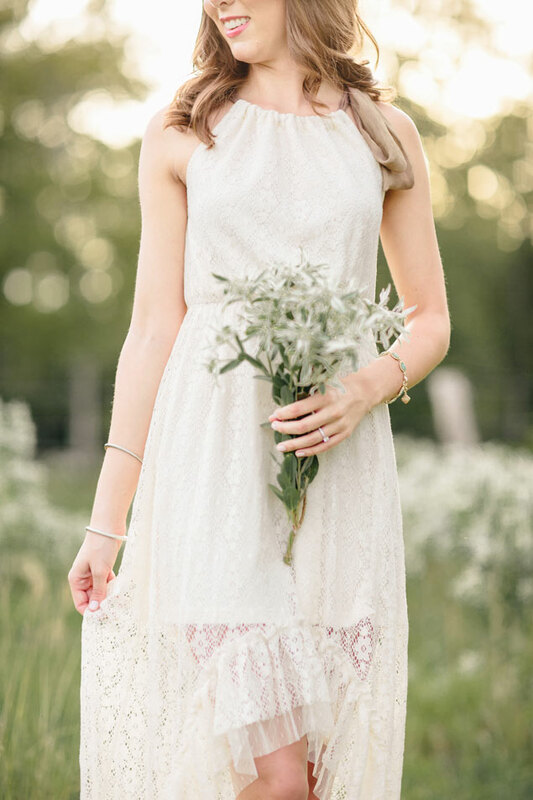 The field of white flowers and the impromptu bouquet we picked took this over the top for us!